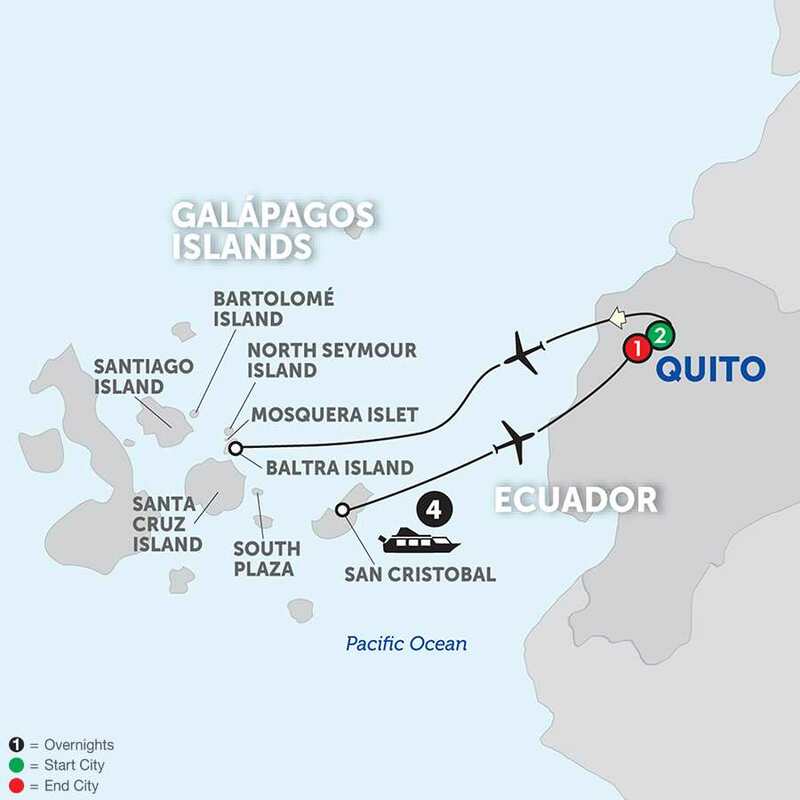 Ecuador and the Galapagos Islands – The Great Canadian Travel Co. This exciting cruise vacation lets you sample the natural wonders of Ecuador and its famous and fascinating Galápagos Islands. Included sightseeing showcases Quito’s colonial history and treasures including the historic stone murals of the Legislative Palace, Independence Plaza and the 16th-century San Francisco Monastery, and the Jesuit’s La Compania Church with its stunning golden altars. Next, take a walk down one of Quito’s oldest streets, La Ronda, which is home to many artist’s workshops and galleries. Here, you will have the chance to meet some of the local artists and talk with them about their work before visiting a Chocolate Factory to learn why Ecuador is considered one of the finest chocolate producers in the world. After seeing the chocolate-making process, a tasting is a must! Top off your day with a photo in front of the Equatorial Monument in the “Middle of the World.” Stand in both the Northern and Southern Hemispheres simultaneously and test the effects of the earth’s rotation through different experiments like balancing an egg on a nail. This evening, enjoy a welcome dinner. 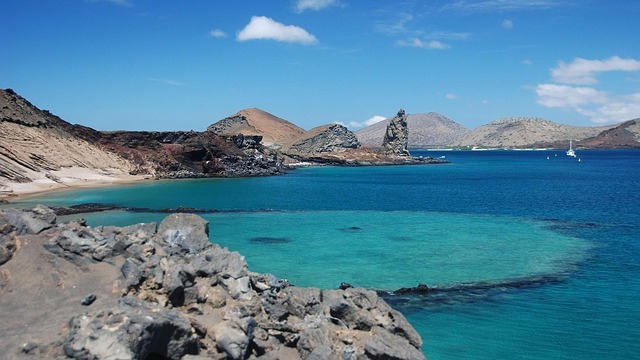 Take a morning flight to Baltra, one of the remote Galápagos Islands. 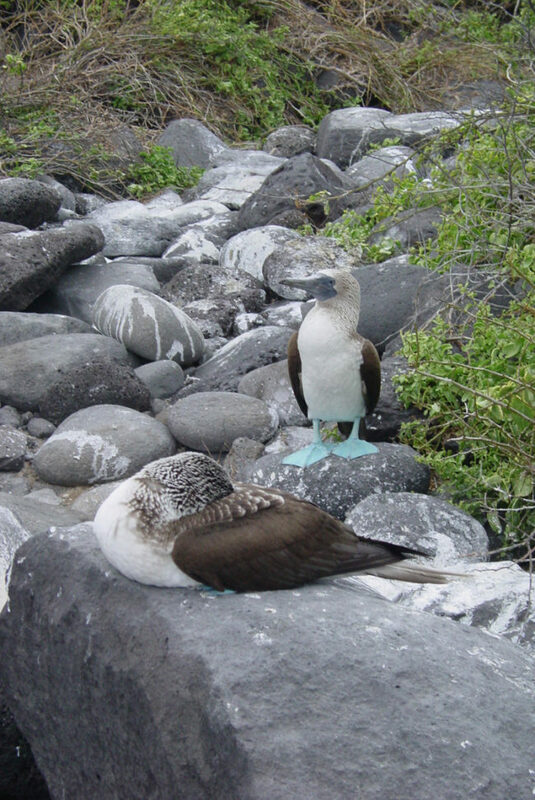 Upon arrival, embark the Treasure of Galápagos for five days of cruising among various Galápagos Islands. Each day, travel ashore to the remote islands with your expert Naturalist, who introduces you to the unique fauna living free and fearless of man. 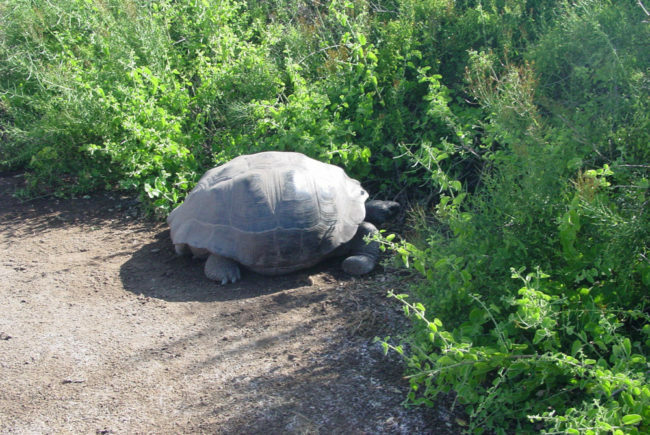 After lunch, join your Naturalist for a visit to the Charles Darwin Research Station, established to help conserve the Galápagos’ natural habitat and protect the famous giant tortoises. While here, learn about the tortoise-rearing program and see many of the various islands’ tortoises. Later, on board the ship, join a briefing on the next day’s adventure, followed by a Captain’s welcome cocktail and dinner. After breakfast, you will find yourself anchored in the western-central part of the archipelago where volcanoes are still active, attributing to the dramatic scenery. Join your Naturalist for an exploration of Sullivan Bay on Santiago Island, where you will walk on newly-formed (less than 100 years ago) lava flows reminiscent of the lunar landscape. 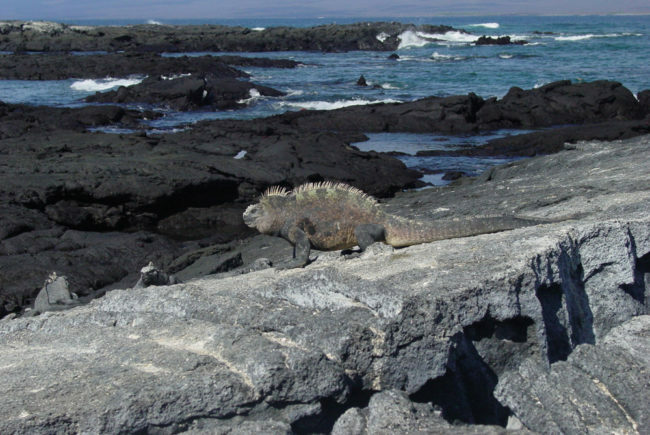 Keep your eye out for lava lizards, marine iguanas, Sally Lightfoot crabs, and even the Galápagos penguin. Disembark at North Seymour Island, where your Naturalist will point out colonies of blue-footed boobies, Magnificent and Great Frigate Birds, swallow-tailed gulls, and lava herons. This is one of the few spots where you can compare the Magnificent and the rarer Great Frigate Bird breeding next to each other. 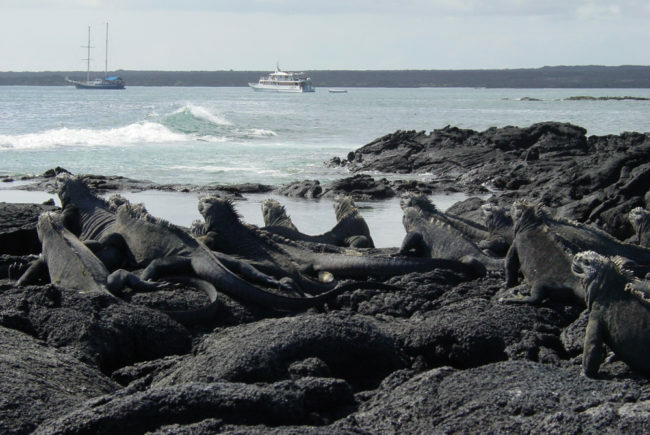 The shores teem with sea lions and marine iguanas, and are a good spot for snorkelling. 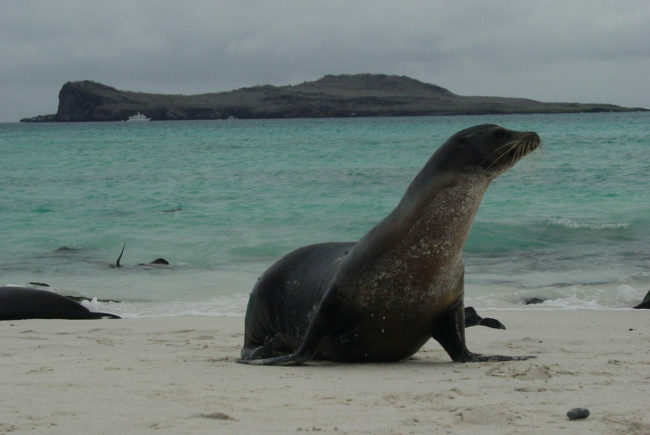 In the afternoon, visit Mosquera Islet, a sandy island with one of the largest concentrations of Galapagos sea lions in the entire archipelago. A walk on the white coral beach reveals shorebirds like the endemic lava gull, waders like the yellow-crowned night heron, and intertidal hunters, such as the striking reddish-orange Sally Lightfoot crabs. 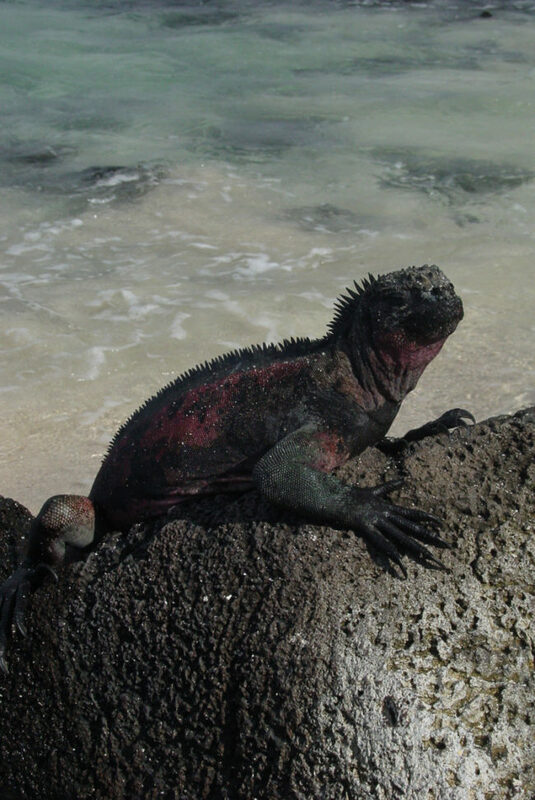 At South Plaza Island, wildlife includes sea lions, land iguanas, marine iguanas, and hybrid iguanas (only found on this island and a result of a cross between land and marine iguanas). 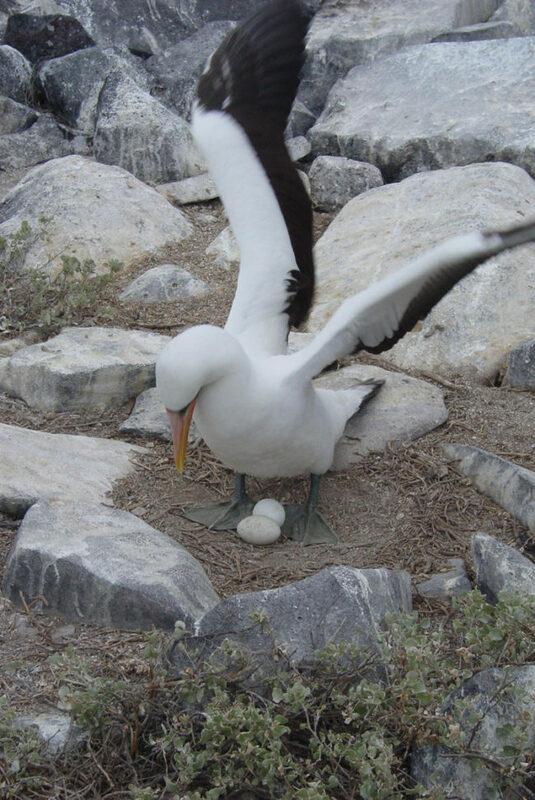 Also known for its prolific birdlife, you will see blue-footed boobies, Nazca boobies, frigate birds, swallow-tailed gulls, Audubon’s shearwaters, and many other species. 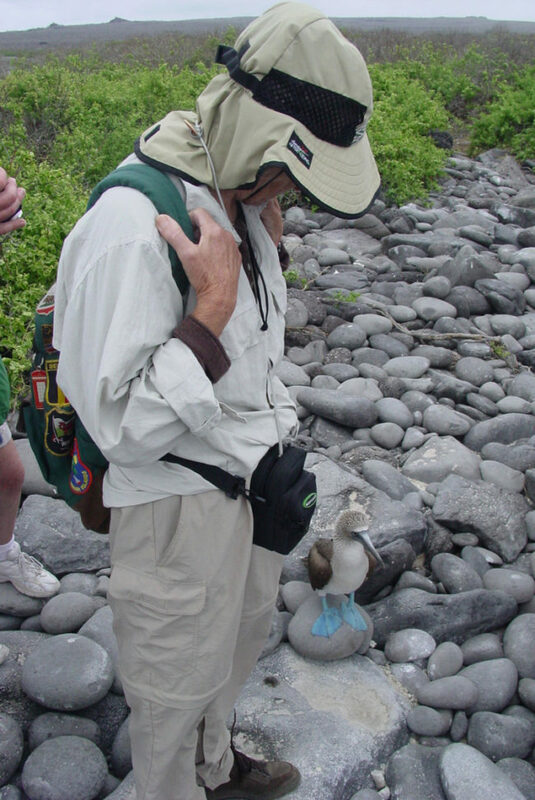 This afternoon, visit the first site Charles Darwin visited in the Galápagos, Cerro Brujo on San Cristobal. Admire the stunning views of Kicker Rock before visiting a lagoon home to many migratory birds such as pelicans, black-necked stilts, ruddy turnstones, whimbrels, white-cheeked pintails, and the great blue heron. After breakfast, disembark the boat in Puerto Baquerizo Moreno for a visit to the San Cristobal Interpretation Centre. Here, you will learn about the islands’ volcanic genesis, their remoteness, ocean currents, special climate, the arrival of different species, and their establishment. Next, head to the airport for your flight to Quito, where you will have free time this evening to prepare for your return flight home tomorrow. 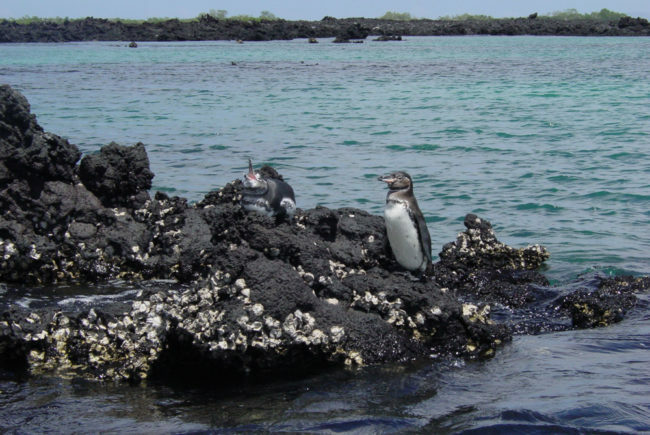 The ship’s itinerary may vary according to Galápagos National Park policies and regulations, weather conditions, and seasonal changes to create the perfect cross-section of sites visited.